About a month and a half since my last post? Yep. Sounds about right for this year. I’ll give a full update on the slew of injuries in another post but what I have been doing is a little running (!! ), some biking, some swimming, and a lot of strength training, specifically for the hip. Doing upward hip thrusts at the gym is only slightly awkward… so I do my best to make it fully awkward by looking at others directly in the eyes mid-thrusts I’ll throw in a wink, just in case. Over the summer I’ve tried to join up with the Cycle City Wednesday night group ride when my schedule and training plan allowed. Through those rides I’ve gotten to know a few of the cyclists. When conversing with one of the cyclist, we were talking about triathlons and she mentioned she is training for one coming up that she does for strong personal reasons. 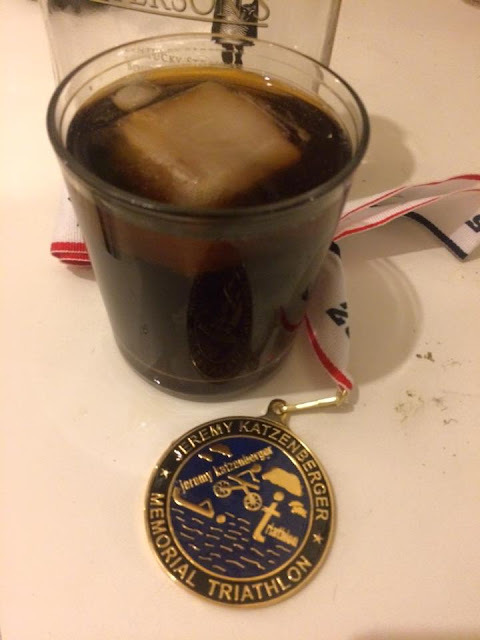 It wasn’t until a few miles later when she mentioned Jeremy Katzenberger was her husband and I immediately put 2 and 2 together to realize Colleen was the wife of the fallen soldier that the Jeremy Katzenberger Memorial Triathlon honors. I really didn’t know what to say other than I could understand why it is for personal reasons. I mean, it's been like two months since that ride and I still don't know what to say. I can't image what she's been through. We have friends who have been deployed and would be devastated. Can't image being a spouse. Just can't. 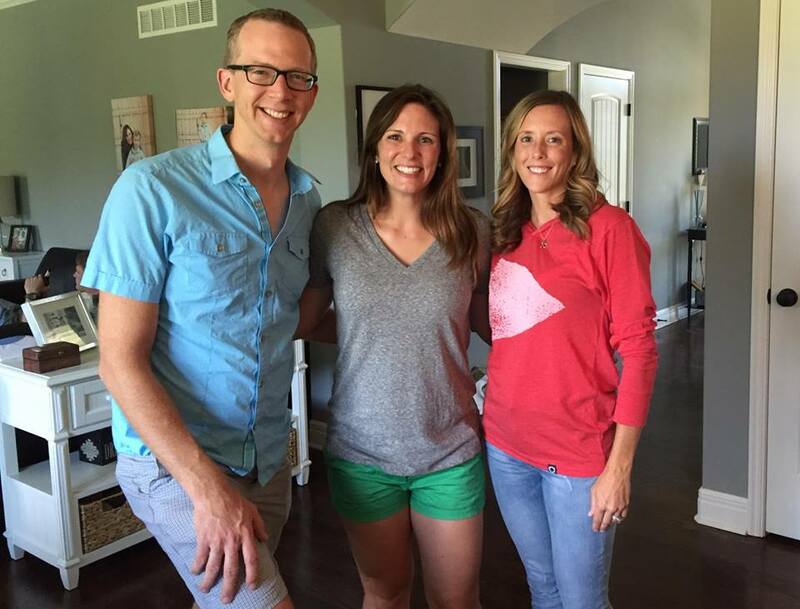 A few weeks ago Colleen continued to work on me to sign up for the race. I had made the decision back in July that I wouldn’t sign up for another race until I had figured out my hip. I had just finished running Head For The Cure 5k (I had signed up for it in March, ok? Race report may still come as there was a $20 bet involved). 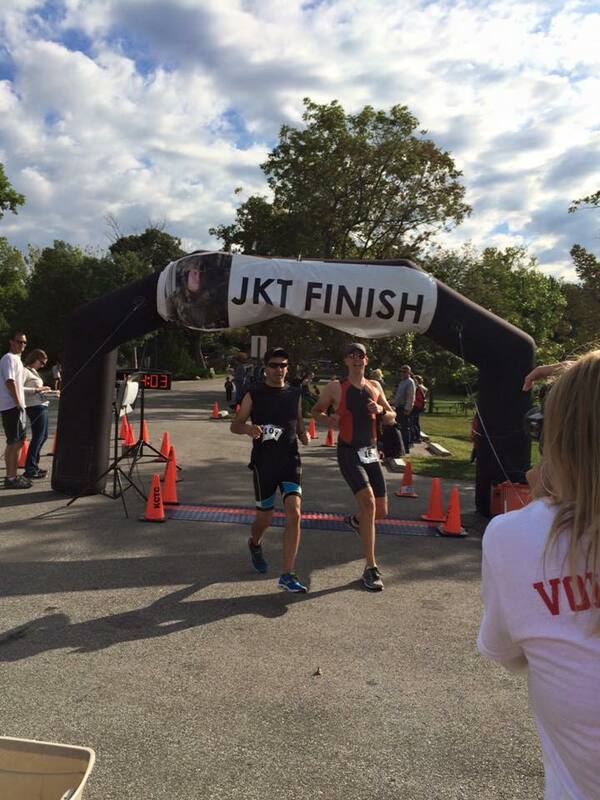 With completing that 5k race, I knew my hip and leg could manage the beating of a 5k run. So why not try a sprint distance triathlon? Screw that moratorium! I agreed and said I would ask around to pull in some more of my tri peeps. As I was getting close to signing up I needed to decide on the distance. 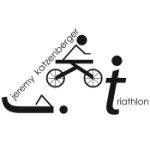 There was no difference in the bike (11 miles) and run (5k) but there were two swim distances, 400 yards and 1200 yards. Recently JoeVI asked me to do the swim leg of Ad Astra 70.3 relay team, so I might as well do the 1200 yards since I would be swimming 1.2 miles a few weeks later. My tri bike had been relegated to second string as I hadn’t ridden it since Muncie 70.3 in July. I knew the bike course was hilly and curvy and I decided the road bike was preferable. This further proved out when I rode the course on Friday before the race. In the 3 miles to get to the bike course + the bike course + 3 miles to get home, I put in 1700 feet of elevation gain in 17 miles. NASTY. 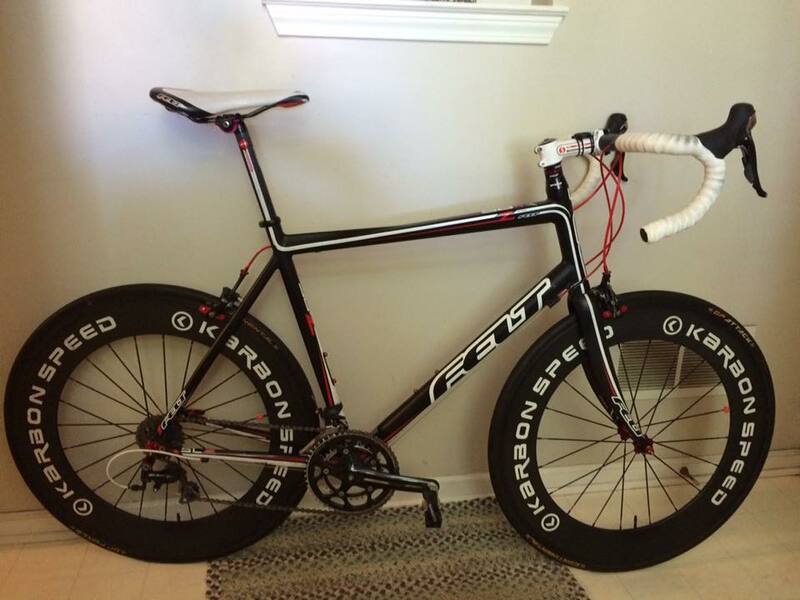 Saturday I put the race wheels on my road bike and decided the beast was ready to ride! I just might let KITT wear these new shoes a bit longer. This was fun to ride. With the transition literally 5 miles from my house and a 6:15am transition open, it was nice to sleep in! Once parked and into the transition, I immediately took position on the first rack closest to bike and run out. After meeting up with Corey and Kristen (and their support crew, John and Amy), we watched the pre-race meeting. Corey and Kristen answered my call to participat in this race. A video was played honoring Jeremy and it was really good. Sponsors were announced and Colleen spoke. Even though this is the fifth annual, it still has to be very emotional day for her. Not long afterwards, we were headed for the water to do a warm up swim and then off to the races, literally! Pre-race I had met up with Matt from the YMCA and Pete of the famous Banana Hammock team. Wished them good luck even though as we're all signed up for the long course. At 8:05am our wave was off! The first 600 yards were surprisingly congested. I kept up with 3 other guys but we broke off as we turned back. I felt like I was in a good groove the entire time. The swim exit is the most interesting I have ever experienced at a triathlon. You swim under a dock. It wasn't fully submerged but through two open sections below the dock. I swam until I hit the sand and then up the carpet to my bike. My setup was a little different than usual. No tri bike, I used socks, no visor on my aero helmet as I used my Orange Wayfarer-style sunglasses. This was all about having fun anyway. I haven’t practice the flying mount on my bike, so stopped to get on. You immediately bike up a hill. Might as well start those inclines in the first 100 yards! Having ridden the bike course on Friday, it didn’t seem as near as bad this time. The first half isn’t horrible but the elevation gain started to skyrocket later. About a third through, there was a spectator calling out numbers. I assumed it was positions and I got assigned number 24. At about 4 miles left a car had gotten on the bike course in front of me. It wasn’t a closed course, which was fine. I figured I would catch the car on a downhill but they will drop me on the uphill. That didn’t happen and I ended up passing the car, which was slightly nerve racking. Good to know that car blind spot detectors do “see” cyclists. By the time I got back to the dismount line my feet were out of my cycling shoes ready to jump off the bike and supposedly in 15th place (which would include relays, short course, and long course). My transition rack was about 30 feet from the dismount line and so it was rather fast. 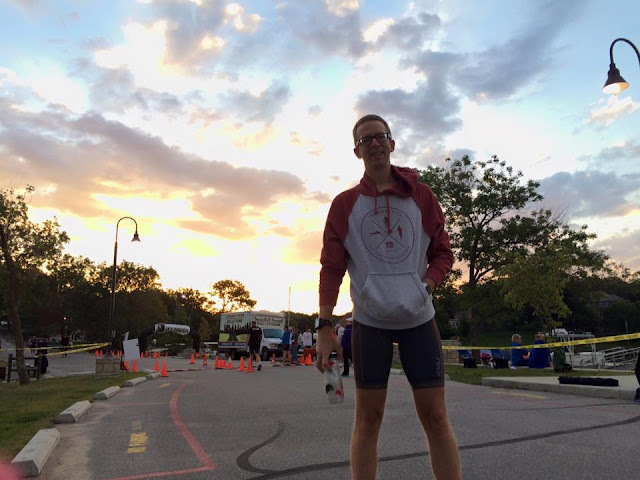 Drop the bike, tie on the shoes (no quick-tie laces since this was the first solo triathlon of the year… never setup the fancy laces), grab the hat, race bib, and run!!!! Then there was the nasty first hill out of transition. I put on my race bib and hat and huffed and puffed up this hill to blow down this run course (see what I did there?). So I was running and it felt great. I mean… it truly felt great. My right leg didn’t crumble into a million pieces from the healed stress fracture. My hip didn’t lock up or pop out of socket from the impingement. My foot wasn’t running on pins from the neuroma. My lungs, on the other hand, were trying to escape imprisonment but the warden kept them. The run course was hilly as well with 250 feet of elevation gain but… I felt strong! Running up the hills you engage your quads more and those were definitely hit hard over the last 6 weeks of physical therapy strength training. From what I could tell, no one passed me during the race since the turnaround on the swim... until I was closing in on the finish. I didn’t turn around to look in the final 50 yards but about 5 feet from the finish I felt someone on my shoulder. Just in case I lunged my left leg over the timing mat. It turned out to be someone from the short course, which was fine, but lesson learned. No clue how I really did when I finished. The timing people didn’t post results until later in the day. I didn’t know if I had a chance of winning anything but we stayed. It was a freaking beautiful day at a beautiful location… and I mentioned free beer, right? 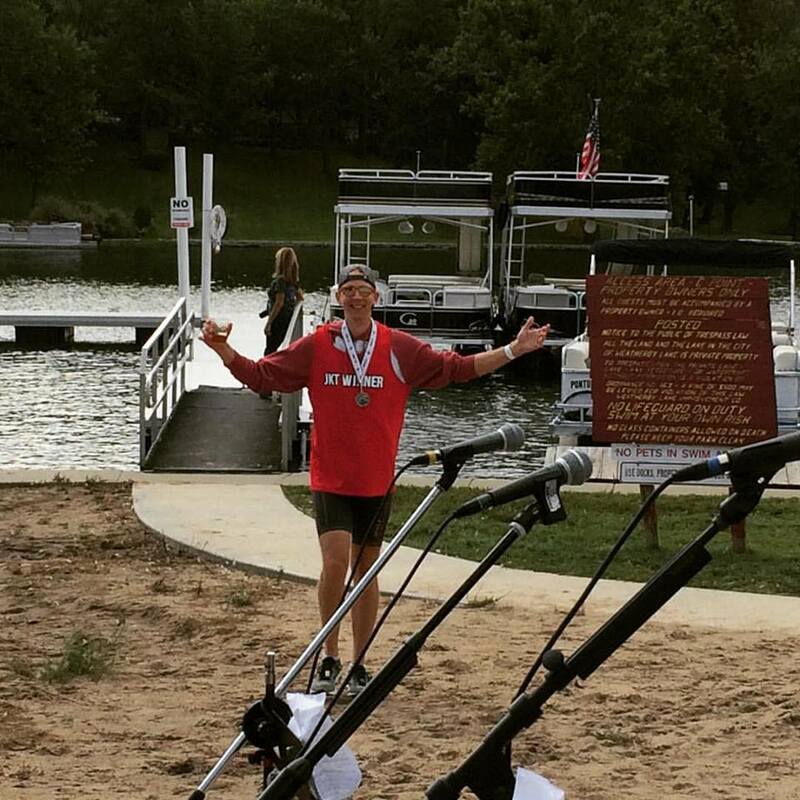 They started out with the long course male overall podium, Banana Hammock Pete took home third overall, nice work! The age groups were in 10 year groups and I got first in 31 – 40! SWEET! 4th overall was fairly satisfying too. 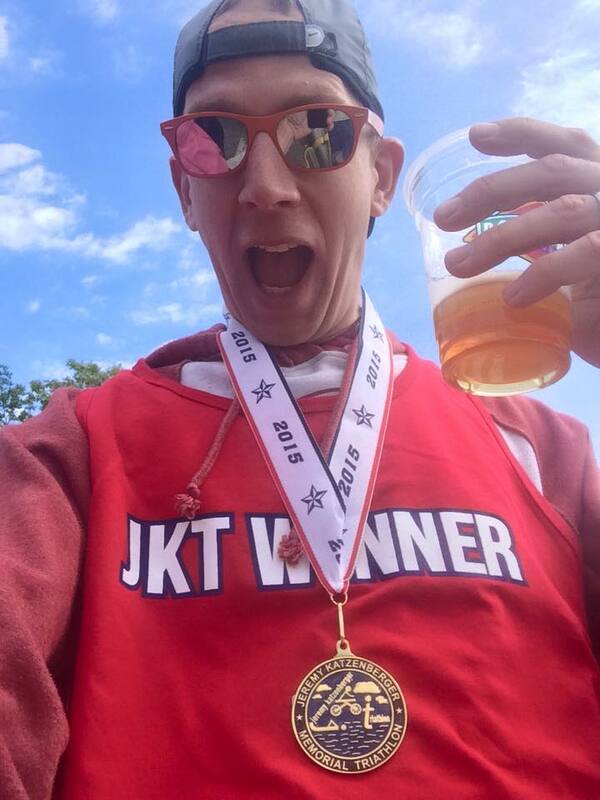 After I got my medal, they also gave me a tank top that said “JKT WINNER”. Ha! That was awesome. I’ve never see anything like it before. I do enjoy it when races do things that are unique. Maybe I’ll have to wear it during the run for next year’s race. Tri Suit, Hoodie, JKT WINNER shirt! I had a blast. I got to thank as many of the volunteers, spectators, and police as I could. I got to see familiar faces on the course. I got to talk triathlon. I got to run. I got to drink free Boulevard beer. I got to participate in a race honoring someone who paid the ultimate price fighting for my ability to do all of that. Got it? Good. Someone nabbed my swim cap and goggles. That doesn't bother me. What bother's me is I'm not going to enjoy watching them put on my prescription goggles for the first time. I have horrible vision. They are going to go blind. OMG. I'm such a dork. This made my hip feel so much better. They had free beer. Did I mention that? Kristen and me post-race. Finishers! Enjoying a little post-race whiskey and coke. We all ride with our leader, Carter, at the Cycle City Wednesday night ride. Everyone got 1st on the bike split within their respective age groups. This was Tiffany's first triathlon and did fabulous! Also... my hand looks HUGE. On the hip thrusts, make sure to throw in some grunts too, and leave a nice wet swass print on the floor. People love that.